It will be your home residence that is going to determine how old you will need to be when playing blackjack online for free or for real money at any of the huge number of online casinos. What you will find that in certain countries such as the USA many of the casinos licensed in places such as Atlantic City and Nevada will stipulate that you need to be over the age of 21. That includes playing both online on a mobile device or when you visit those land based casinos in those jurisdictions in person. Be aware that online and mobile casino sites licensed in either of those two jurisdictions will also require you to be within the State boundaries to access their range of online or mobile casino games. The only exception to that ruling is that if you live in Delaware you are also able to legally playing blackjack online if you are over 21 at online and mobile casinos sites that are licensed in Atlantic City. If on the other hand you live in Europe to the UK and in parts of Asia then you are going to be able to play at an online casino site if you are over the age of 18. Be aware though that as part of the licensing requirements all casino sites are going to have to ensure that you are over the legal age to gamble at their respective casino sites. 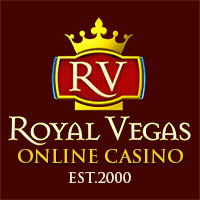 Many casinos are able to electronically verify your age, however if a casino site is unable to determine just how old you are then you will often find they will restrict access to any account you have registered and opened at their respective casino sites until you send them in copies of your identification documents. Those sites will then verify you manually and once they are happy that you are who you say you are and you are legally over the minimum age to gamble at those sites they will then allow you full and unrestricted access to your online or mobile casino account. This is much the same when you visit a land based casino as you are likely to be challenged to provide some form of identification documents such as a driving license or a passport if you look too young to access the casino games offered at those venue. Be aware that even if you wish to play casino games online in a free play environment you will still need to be the legal age to gamble at those sites. One handy tip we can pass onto you is that when you do first sign up and register at any mobile or online casino is to also send into the casino via email the required identification documents those sites will require to verify your account. For by doing just that you will then not find your account being restricted until they request and you then send in those documents, and by getting your real money casino account verified when you register you will then not suffer any delays if you make a withdrawal whilst those sites are verifying your account.